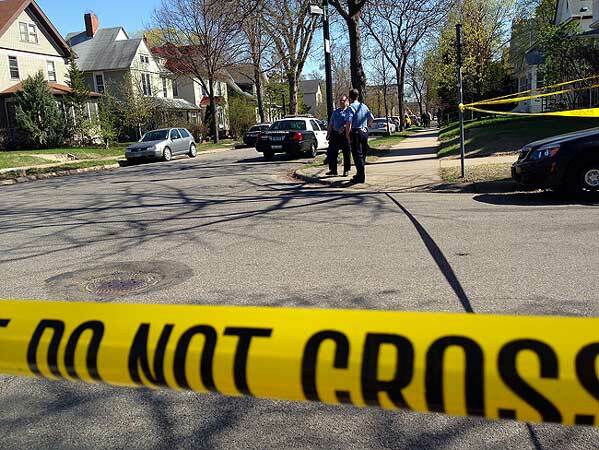 A police search in south Minneapolis ended Friday with one suspect dead, two officers shot, and a motorcyclist fatally injured. 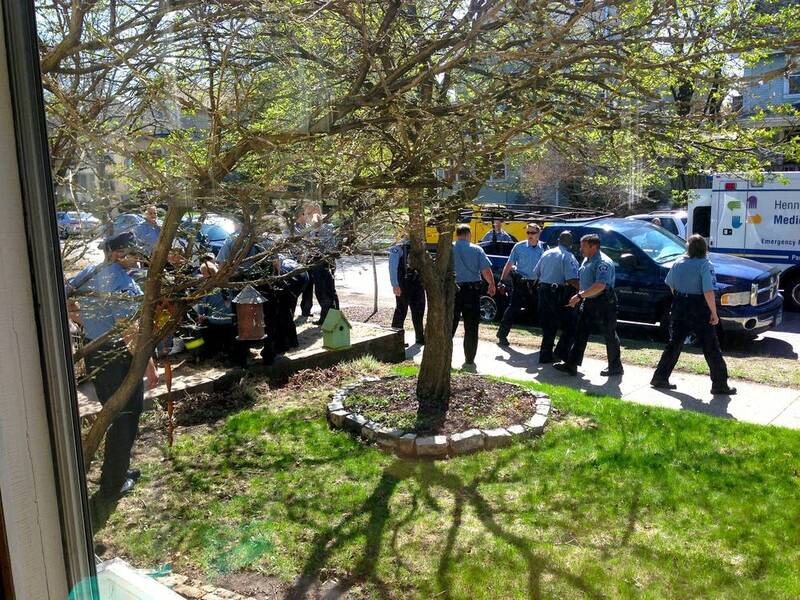 It began when a man fled an afternoon traffic stop on the city's south side. 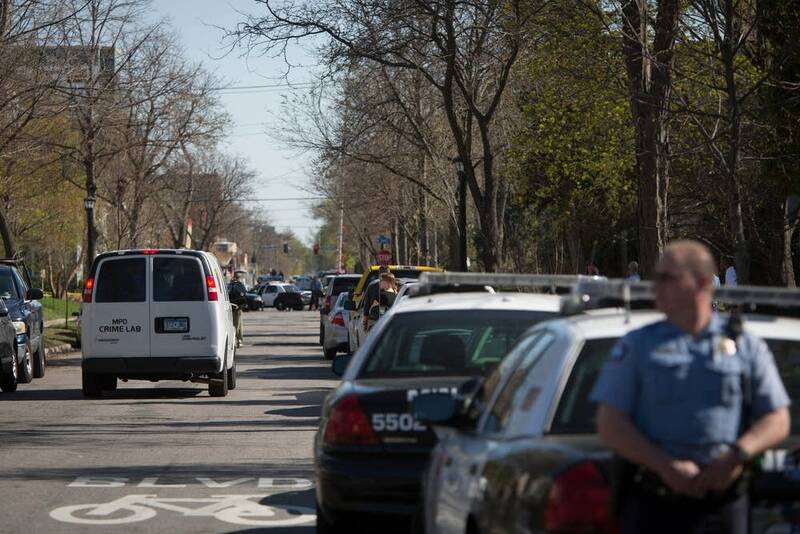 A foot chase led police to the 2700 block of Bryant Ave. S.
Police cordoned off the block to search for the suspect. When they did not find him, they allowed residents to return. That's when homeowner Jim Bickal approached his back porch and noticed a smashed window. He alerted nearby police and watched as officers entered his home. Neighbors then heard several gunshots. Minutes later, Bickal saw a police officer on his front yard receiving medical treatment for what appeared to be a gunshot wound to the leg. 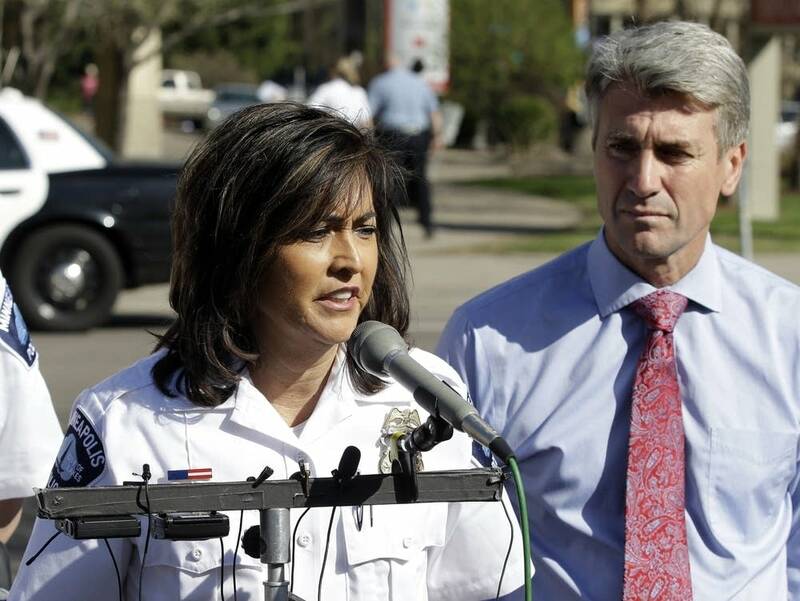 Bickal, who is a producer at Minnesota Public Radio News, said he did not see the other injured officer or the suspect. 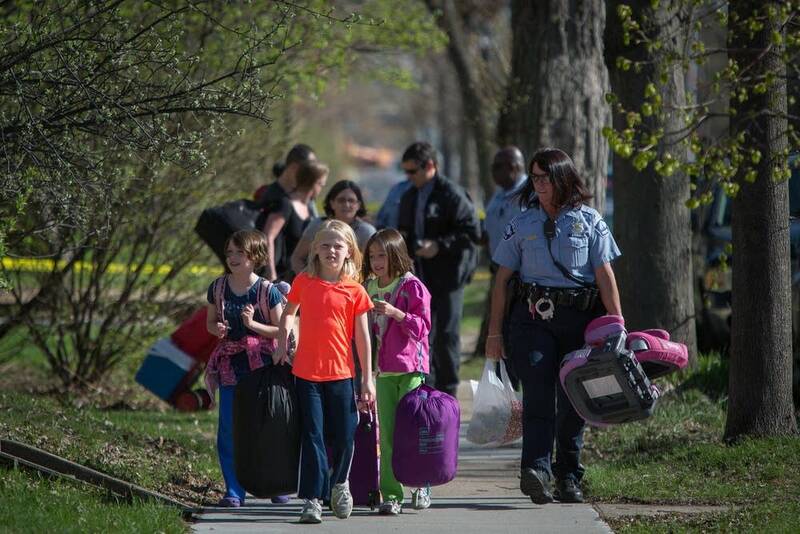 Police said the suspect's body is in the basement. 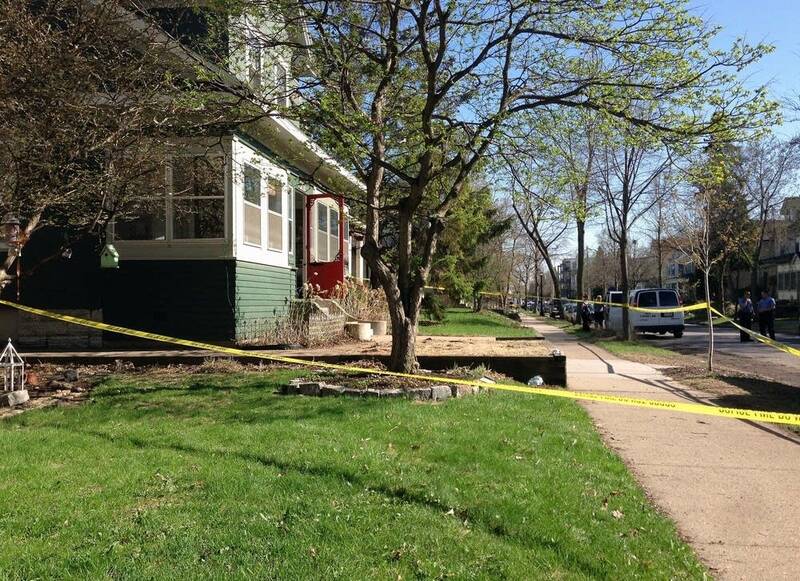 No one who lives at the home was inside when the shooting took place, Bickal said. 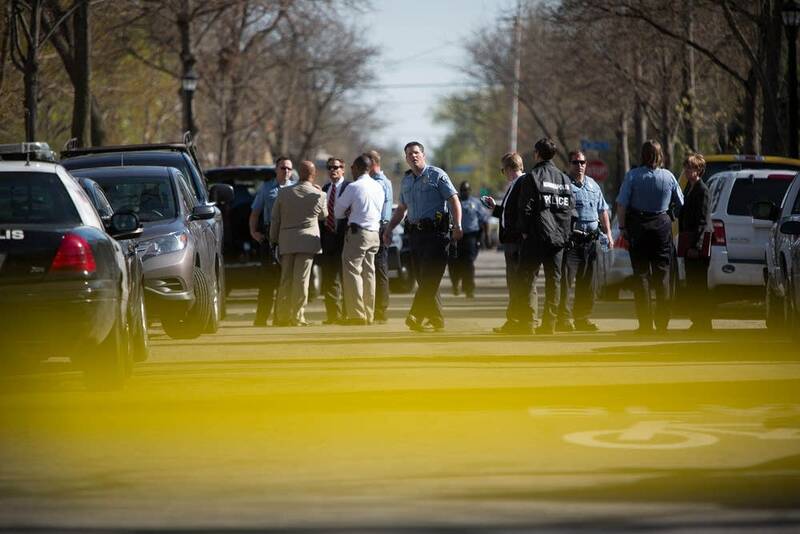 Both police officers were taken to Hennepin County Medical Center, where they remain in stable condition, police said. Meanwhile, a squad car on its way to the shooting collided with a motorcycle carrying two people. One of the riders, an adult man, was killed. The second rider, an adult woman, was injured and taken to HCMC.